Every piece of copy we create is crafted to improve your rankings & conversions. Want to do it all yourself? Ebooks, courses & other training products are available as well as customized copywriting training from expert presenter, Karon Thackston. The real secret to copywriting? It’s the way all the bits and pieces of the puzzle are put together. When done right, you get persuasive language that engages and converts. Why do certain words create desire and others fall flat? Whether providing copywriting training or services, we'll ask the right questions to draw out information from you about your customers, products and services. That information then gets woven into copy that is written specifically to convert better, rank higher and make you more sales. It's the difference between a VW and a BMW. Whether you do it yourself or have us do it for you; it all boils down to merging the necessary bits and pieces of information to position you as the obvious choice. It doesn't happen by accident. If you understand the value of having highly trained professionals on your side, we'd love to hear from you. Contact us today with the details of your project or for additional information about copywriting or training. No wonder I keep asking for your help! You really write strong copy without being overbearing. At last! I’ve found a Copywriter who writes articles which I will feel happy enough to publish in my newsletter. My company has been selling online since 2006. At best, sales were lackluster, so I consulted a respected SEO guru, who referred me to Marketing Words for assistance in rebranding our website. I am so grateful that we found Karon, because she is a perfect fit for us. She is easy to work with, full of great ideas, and has excellent project management. I am also very impressed with her integrity, enthusiasm, responsiveness and efficiency. 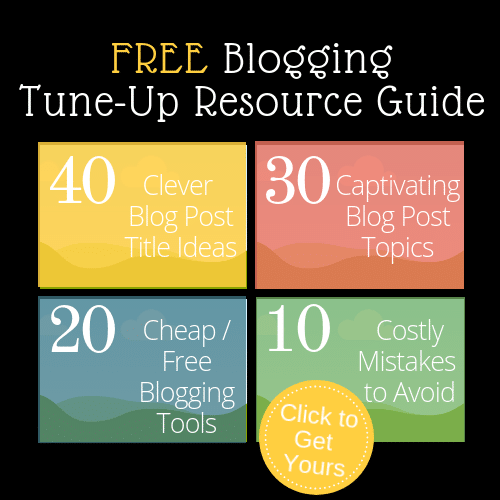 I initially hired Karon’s team to rewrite the content for 130 site pages. After thorough research, she quickly delivered high quality content that was appropriately optimized for both search engines and site visitors. For me, the highest priority was to see a greater conversion of visitors into buyers. I am very confident that Marketing Words’ work will make us stand out from the competition. Karon ended up being a lot more than a mere contractor hired for the specific role of copywriting. She quickly became a key member of our team whose point of view on website development we value and respect. 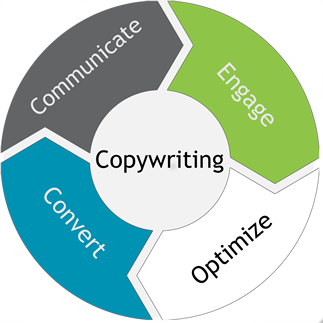 I am glad I can turn to Marketing Words for all types of copywriting and online marketing services. I am looking forward to using their services soon for article writing and product descriptions. I would definitely refer Marketing Words to anyone with web marketing needs. Mike Brody Marvolus Manufacturing Co. Thought I would let you know how our sales have gone since your work. I did a little advertising and got 10 sales. I also raised the price 17%. We were selling at a rate of 2 per day before the listing change. When we ran out of stock, we were selling at a rate of almost 12 per day! I would say the changes your staff made were pretty effective, wouldn’t you? At the recommendation of a business associate, I contacted Marketing Words for help with corporate copywriting training: specifically outlining procedures and best practices for my staff copywriters. I am so glad I did! The first project we did with Marketing Words went beautifully and accomplished everything I wanted it to. Karon Thackston always had insightful information to share during consulting sessions and was quick to offer suggestions that truly made a positive difference in the way we write copy for our clients. I especially like how easy Marketing Words is to work with. Karon is efficient, timely, understood our problems right away and stayed on top of things. As a senior executive, I hate to have my time wasted on useless conversation. This never happened when working with Marketing Words. We’ve done several projects thus far and I am constantly on the lookout for new ways we can use Marketing Words. I love working with Karon to define our corporate copywriting procedures and hope to do so for a long time to come. Thank you for the great work and service you provide because I could never have written anything that would even have come close to the quality job you have done for me . Proactive Parents wanted to better communicate how they help families in distress live peacefully long-term. The previous copy focused primarily on the ministry. We changed that approach and developed content to help site visitors envision how loving, trusting and God-centered their families can be. At the Proactive Parenting Initiative, we are so thankful for the work that Karon Thackston and Marketing Words did in revising our website. We are now getting more web traffic than before and we attribute that to Karon's skill in using the right words or phrases that draw attention to our services. Working with Karon Thackston at Marketing Words is truly a pleasure. Our goal was to get higher rankings, and increase traffic and sales leads from our existing websites. Karon quickly delivered high-quality web content, keywords and PPC text ads for two websites. We’ve seen an increase across the board since implementing the new content and ads. I would recommend Marketing Words without reservation. Thank you Marketing Words for a job well done! Joe Giacalone Arch Painting Inc. Absolutely one of the best web copywriters in the country! Thanks for your consulting and copywriting help! I spent a full day polishing up the Intelligent Acne Treatment site. You said every page on the site should be geared to selling that one light, so I did some editing with that goal in mind. I also tucked some content in under the “read more” links and moved the page you wrote to the “add to cart” page. I’ve sold clean out, and had to pull the advertising till more stock comes in! As a regular part of selling on-line, today I was researching keywords for our products. Looking back at the work of Karon Thackston’s Marketing Words, I am always in awe of her ability to weave together relevant keywords into enticing sentences. Our Amazon titles and descriptions are not just keyword crammed lists; they have an elegant flow and are in compliance with Amazon’s terms of service. Her blog always keeps us aware of the constantly changing news rules on Amazon. Thank You Karon! Every coaching session I’ve had with Karon has shown me a nuance about writing copy I never knew existed. A few sessions in I could finally see how to assemble the invisible structure behind sales copy. Before working with Karon I was just down right anxious about writing sales copy. I read lots of books, but was just a spectator watching from the sidelines. Karon’s coaching sessions took me off the sidelines and put me in the game. Instead of theory or practice she helped me with actual client work as a way to learn copywriting. There’s a depth to persuasive copy only experience can reveal. In a way, having Karon as a coach is like putting her 25 years experience as a copywriter to work for me. After a few months of coaching with Karon I’m writing with more confidence than ever. I know it takes practice to get better. But it’s freeing to just trust her copywriting method all the way from research to editing. And it works. My sales prove it. Matt DeYoung 10 Spaces Consulting, Inc.
We have had the Marketing Words’ team write several Amazon product listings for us. The results are always great! I appreciate their attention to detail, expertise in finding highly searched keywords plus those little gems that drive traffic and – most of all – the RESULTS! I plan to use Marketing Words for a long time because I’m convinced their service helps boost our traffic and conversions. Karon Thackston at Marketing Words has been a key contributor to the success of our online retail store. The product descriptions they have written not only helped us to get top Google rankings but also motivated customers to purchase the products they found on our site resulting in an increased conversion rate. The articles, newsletters and website content they have written for us have always exceeded our expectations. Marketing Words continues to be a key contributor to our ongoing success. When we need top-rate copy written we always turn to Marketing Words. They continuously provide us with product descriptions, newsletters and website content that is far superior to other copywriters we had previously experience with. Their copy is not only well written but also inspires our target audience to take action. since we implemented the changes. I want to let you know that I managed to sell (in a very short time) the product for which you made the listing. Thank you for the professionalism you have shown in making this listing. I am convinced that the quick sale of the product was largely due to the listing you made. For this reason we will contact you soon for other products. This has been a great experience. With your leverage, the client recognized the need to employ landing page best practices and we were able to proceed with testing. The first few weeks of results speak for themselves (going from a 2% conversion rate to 27%), so thank you for your expertise! The client has admitted that even the quality of the leads coming through the landing page are better than previously, too. Karon, thanks a million…literally! $1.84MM dollars in revenue from four, count em–four little landing pages. The ones you wrote. Using only email marketing, AdWords, and your four landing pages I built a business that previously didn’t exist for my client. Because of this success, other retailers started are pining to sell a product that was previously unsellable. As you can image, my clients are very happy! I just wanted to personally thank you for the fantastic job you did on writing the copy for my Web site. The results have been amazing! Being a brand new retaining wall construction business, with fierce competition, I knew my Web site needed to stand out in a unique and memorable way. Thanks to your talent of working my targeted keywords into my copy, I have ten #1 rankings with both Google and Yahoo, as well as top twenty rankings with another dozen or so keywords. And best of all, in less than a month since my Web site launched, I have already gotten several new jobs that were specifically generated through my Web site. I couldn’t be more pleased. I’ll be using your services again very soon as I add more information to the site. As a local veterinarian, I knew I needed a website to reach new clients. I wasn’t sure how to go about creating one that communicated the unique attributes of my practice and also ranked high in the search engines. Karon at Marketing Words was a big help! She did the keyword research, tag creation and wrote copy that really shows just how much we care about our four-legged patients. Within a short time of making the copy live, we landed high rankings for several important search terms that continue to drive new business to our clinic. I’m very pleased. We are great at writing children’s books, but are not experts at sales copy. That’s why we hired Marketing Words to create an Amazon book description that would entice shoppers to buy our book. Every author wants to be a bestseller which is not an easy thing to do. With the book description Marketing Words wrote, we achieved our goal in not one, but two categories. We recommend Marketing Words to other authors who want compelling book descriptions that can help sell books and potentially lead to bestseller status. To anyone seeking reliable, quality Amazon product description copy; you’ve come to the right place. Karon and her team at Marketing Words are truly outstanding copywriters that you can rely on every time. Strong conversions to any product or service are vital to consistent sales, and the copy on your page can make or break your path to conversions. I highly recommend Marketing Words for any and all of your copy needs. Karon’s presentation at UCG’s in-house SEO/SEM Summit was excellent. She got an average of 9 out of 10 on evaluations from our employees. Marketing Words is the best! 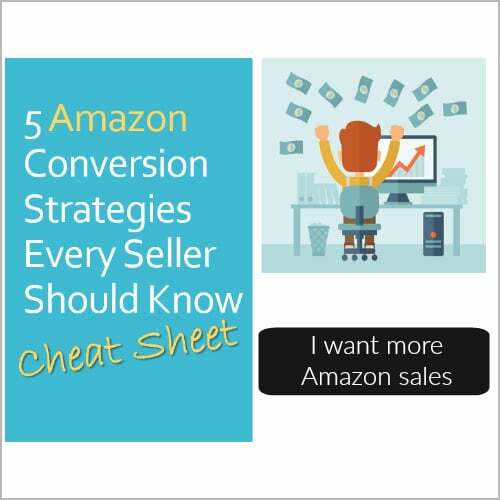 If you have Amazon descriptions that you want to convert better – look no further. Their updated descriptions paid for themselves within a month. I’ll be back again and again for every new product I launch. As an in-house SEO/SEM, it helps to bring in a subject matter expert like Karon Thackston to amplify and reinforce SEO/SEM education across different product groups and portfolio companies. Karon did a great job training our product marketers and editors on the nuts and bolts of current SEO copywriting techniques and the principals of crafting short posts for social media and search marketing ads. The course materials she provides are succinct, useful and relevant job aids which our product marketers and editors could take back to their desks and use immediately. Karon did a tremendous job helping us with our search engine copywriting. Her creative writing added some energy and excitement to our website. The whole process was done in a very professional and timely manner. Working with Marketing Words has been a pleasure. They provided great content ideas and a lot of enthusiasm. Karon Thackston delivers on time and the finished product always makes a lot of sense. I was particularly impressed with the last project she worked on. She and her team researched and created a 19-page PDF “how-to” document, which we give to our website’s newsletter subscribers. The document is chock full of great advice and provides tremendous value to our customers. Thank you! I have had the privilege of working with Karon Thackston at Marketing Words for a few years on several projects. My websites have improved in rankings because of Karon’s professionally written search engine optimized copy. She has also written call to action responses that I use when following up on web leads. The response rates and sales closed ratios generated from the responses Karon wrote have gone up tremendously. If you need help with your Amazon product description, look no further. Marketing Words’ professionalism, accuracy and quality gave me the certainty that we have a highly optimized product listing. We will launch this product knowing that our listing will totally stand out from the rest. I would recommend Marketing Words to anyone who wants professional service and exceptional work with their copywriting. You will be working with the best. My biggest hurdle is creating copy that will both grab the visitor’s attention and also be optimized for the search engines. That’s where Marketing Words takes over! I wanted to tell you the good news! It looks like our rankings are improving. We are back in Google and traffic has doubled. We have record high sales for the last two weeks… about 70% higher than our next best selling two-week period ever! Overall, running our site got much easier after adding your copy because people ask fewer questions about where to find information… they are able to sort it out for themselves from the site copy. We previously had about 5-10 e-mails a day on average from perspective customers, now we get AT LEAST 15 A DAY! WOW!! So, in short, THANK YOU VERY MUCH FOR YOUR GREAT WORK! When I started my web development company, I knew I needed a great copywriter. It was several people and years later that I finally found the right person in Karon Thackston. Marketing Words, Inc. has played an integral role in growing our business volume since 2007, for my company and for my accounts’ businesses. Karon’s team provides well-written content that works for attracting both search engines and real people. Karon herself is a collaborative professional. She provides an efficient consultation process, resulting in website content that draws the targeted traffic that converts into client action. I consider Marketing Words, Inc. as a vital partner to our ongoing business model. This firm delivers effectiveness. Consistently. We had a great experience working with Karon and the team at Marketing Words. Their process is efficient and they provided exceptional content for our new product listing. I’m familiar with and have written sales copy in the past, and the listing the Marketing Words team provided exceeded my expectations and surpassed anything we could have created in-house. We generated sales of our brand new product from the day we launched the listing and quickly climbed the organic search rankings. Our conversion rates were high enough to run profitable pay-per-click ads before we had any reviews and within 10 days of launching we were ranked #2 for our primary keyword. We’re planning to work with Karon and team for our Amazon product listings going forward and we’ve recommended them to numerous sellers. Thank you for an excellent job! You helped relieve the stress of getting the new website online. We were able to focus on web development while Marketing Words created content that speaks directly to our target market. I have used Marketing Words for most of the “important” content of our website and I am thrilled with the results. Having used other so-called SEO copywriters, which made zero difference to our rankings, Karon Thackston at Marketing Words has helped achieve higher rankings for our site as well as ensuring that the copy was interesting and not keyword “stuffed." After discussing the needs of our company with a colleague we found Marketing Words. They came highly recommended and had an impressive track record of helping companies capture the essence and emotion of their businesses. We then visited the Marketing Words website and fell in love with the magic / copy that they create. One conversation with Karon Thackston and we were sold by her down-to-earth honesty. In the past we were “hard to find” on Google and our website lacked customer focus. Unfortunately the heart of our company was not being conveyed. Our old site came across cold, scientific and confusing. There was no flow, no call to action and it was difficult for potential clients to find out who we really were. Karon and her team developed new copy that spoke the precise language our target customers understood. Additionally, Karon went the extra mile to ensure our design team took the appropriate steps to optimize our site. We can now be found on the first page of Google in many of the keyphrases we targeted. Karon and her team have brought a great deal of hope, and excitement to our business. The day the new copy went live on our site, our team felt a renewed sense of pride in how we serve our customers. I would highly recommend Marketing Words to anyone looking to revolutionize their website copy. FitMetabolism is going to work with Karon and the Marketing Words team for a very long time. As the founder of an un-funded startup I needed to locate economical yet cost-effective professional assistance for our PR efforts. I wanted our news releases and articles to deliver exciting messages that would be picked up by the electronic and traditional press globally. To accomplish our goals we knew that our tiny hometown PR budget had to be used very wisely (i.e., highly leveraged). After reviewing several proposals from on-line and traditional PR houses, we felt very discouraged. The various projected costs and expenses to create and distribute RTT’s message were many times our budget. However, we then heard about Karon Thackston at Marketing Words, Inc. Karon seemed to intuitively ask all the right questions and quickly suggested a very reasonable custom “pay-as-we-grow” PR program. They even provided a list of free press distribution services! I rely on Karon Thackston at Marketing Words for website copy that meets several key objectives – has appetite appeal, sells products and generates good search engine rankings for the keywords we have specified. Since we launched our site in 2003 Karon has given us great service that meets these objectives. I would highly recommend Marketing Words to anyone looking for outstanding search engine copywriting. The Hawaii vacation rental market is highly competitive. My condo’s web site was getting a fair amount of traffic but wasn’t converting well. Marketing Words rewrote the copy focusing on the unique features the condo offered. Her phrasing enticed readers into becoming purchasers and helped me increase rentals. Karon and her team were always mindful of who my customer was and what they were looking for. I feel that their work not only increased my business but gave me more satisfied customers because they rented a Maui condo that exactly fit their needs.